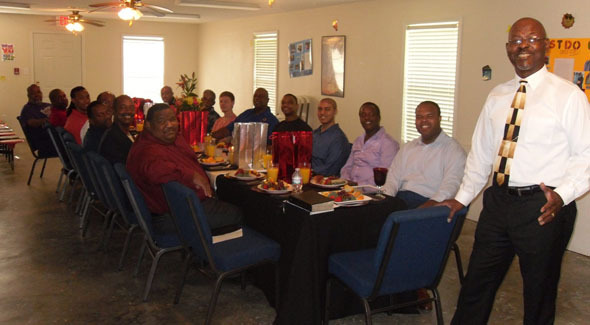 Brothers In Christ Ministry (BICM) was created to minister to the men who are members of the Believers New Life Ministries family as well as those who are members of the Body of Christ and citizens of the Kingdom of God. Touch the lives of men through the preaching of the Gospel of Jesus Christ, thereby leading them to accept and confess Jesus as their Savior and Lord. Teach men how to become Disciples of Christ and live a victorious life through the indwelling presence and power of the Holy Spirit. Train men to be Fishers of Men, in the name of Jesus our Lord. BICM is committed to following the precepts and the example of our Lord and Savior Jesus Christ, in doing the work of our Father who have called us and sent us into this world. We will build Men to be godly leaders in their home, church, community, and in the world. BICM envisions a Brotherhood of Men all over the world working together in Love, Faith, and Unity to establish and expand the Kingdom of God on earth. We are thankful to God for the call to be Men of Power and Purpose…and this will we do, in the name of Jesus. Amen.